Motoring groups have condemned the government’s decision to cut subsidies for buying greener cars. Cash incentives have been offered since 2011 to help promote cleaner cars and meet emissions targets. The RAC and AA motoring groups said the change was a backward step, and the SMMT trade body called it “astounding”. The Department for Transport (DfT) said that the Plug-in Car Grant was introduced seven years ago to help the market become established. 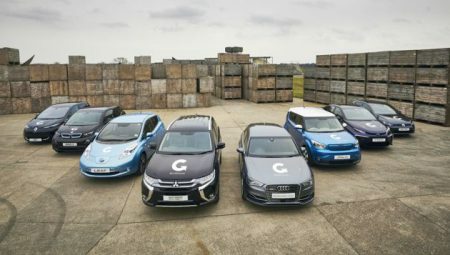 It was now time to focus support on zero-emission models such as pure electric and hydrogen fuel cell cars, the DfT added. The change comes three months after the government published its Road to Zero strategy, with a proposal to remove petrol and diesel cars from UK roads by 2050, forcing all motorists to own electric models. Category 3: CO₂ emissions of 50 to 75g/km and a zero emission range of at least 20 miles. The government said the cut in the support for Category 1 cars to £3,500 reflected recent reductions in the price of electric vehicles. But motoring groups denounced the changes, saying it would leave the government struggling to meet its emissions reduction targets.